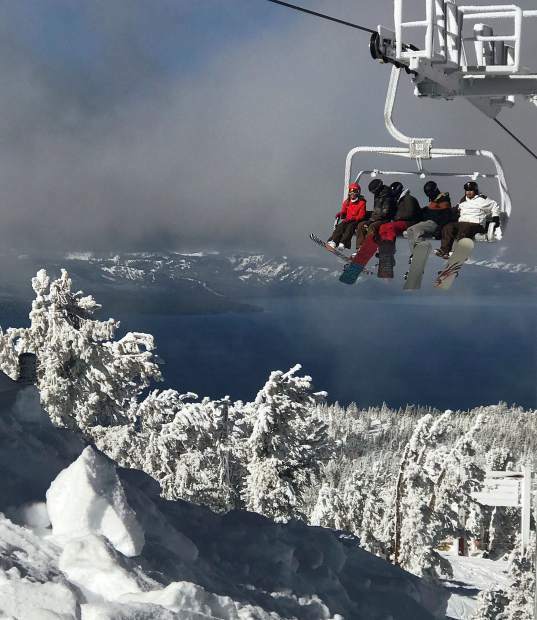 The lines were long Friday, Nov. 17, to board the Tamarack chair lift at Heavenly Mountain Resort. Skiers and riders were greeted with a foot of fresh powder when Heavenly Mountain Resort opened for the 2017-18 season Friday, Nov. 17. Anticipation, excitement, irritation, anger, and then at long last, bliss. 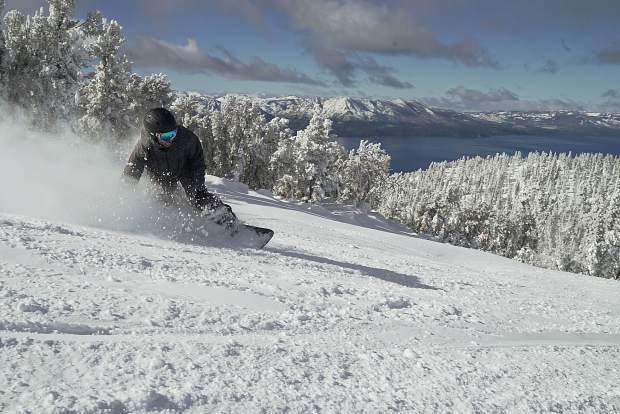 Such was opening day at Heavenly Mountain Resort. 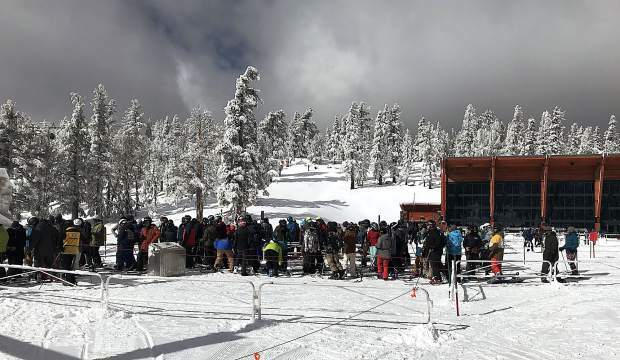 People arrived at 6:30 a.m. Friday, Nov. 17, at the Heavenly Village gondola to wait for a ride to the top. By 8 a.m. there were hundreds in line being offered free coffee and mini donuts. By 8:59 a.m., the excitement had grown to a near climax. The hordes were ready for the resort to open. The line was winding out of sight for the people in front. At 9:30 a.m. the natives were getting restless. They were told all hands were on deck with shovels getting the lift and lodge ready. At 10 a.m., they were irritated. A loud voice from the crowd said, “Heavenly is the only resort that stays closed when it snows!” The comment drew laughs and broke the building tension. But 20 minutes later, when the anticipation and excitement was long gone and there was nothing but frustration and anger, it all changed. “OK, let’s go!” said a lift attendant. Then, in an instant, all the negative feelings disappeared. A stampede of starving skiers and boarders headed for the gondola to get their first taste of snow. And they almost overran Heavenly staff before being put in their place — if they acted like wild animals their passes would be revoked, staff members told them. Once on the gondola, the anticipation and excitement again built. At the top, there was glorious snow covering everything. The snow-hounds converged on the Tamarack chair lift, the only one open and all took their turns traversing down the only trail available. There were hoots and hollers, yells and screams.